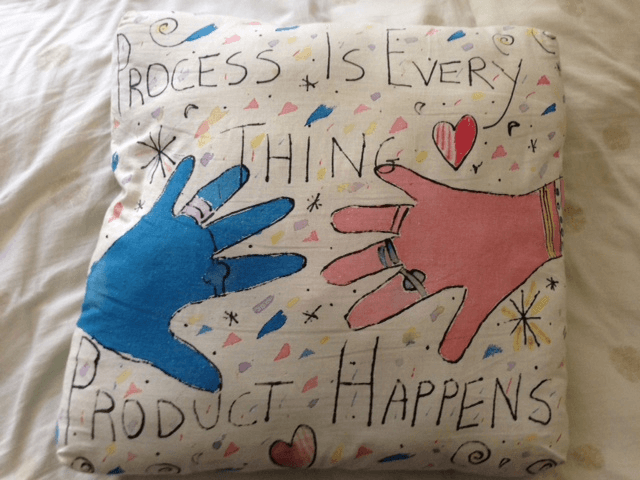 My Taos Creativity Camp pillow. Every morning in camp, we listened to Julia talk and did exercises from the Artist's Way and her other books. Then, after lunch, we were free to wander the grounds of the San Geronimo Lodge, wend our way into town, or engage in creative classes, like fabric painting, doll making, drumming and others I've forgotten. Do the work, don't judge it. Process is everything, product happens. I have beleived fervently in these ever since. And I have instituted them in my life with varying degrees of success, sometimes totally into the concepts, others, not so much. For whatever reason (the position of the planets? the stretching exercises I'm doing? the yogurt I'm eating for breakfast?) I am currently in a huge process mindset phase. And let me just tell you, it is glorious. The process mindset is about putting words on the page. Nothing more, nothing less. Put words on the page and don't worry about how good they are, what they sound like, if you should add more here or subtract some there. And when you approach the work with this mindset, a funny thing happens. You start to put your true self on the page and later, when you read back over the words, you realize that they are kinda good. But it really doesn't even matter, because you know that soon enough you'll be in a revision mindset phase and then you can go over the words and make them really good. The best way I know to get myself into a process mindset is to tell myself that, it's just writing practice. 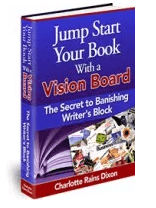 As I wrote in this post, writing practice is any writing that is not related to your WIP. And that takes the pressure right off, and if your experience is anything like mine, away you will go, writing like crazy. What's really cool is that writing practice can function as either a warm-up–write 300-500 words and then switch over to your WIP, or it can segue right into the WIP, as happens with me more and more. But the key is the process mindset. If you're loose and easy and tell yourself all that matters is that you get words on the page, it makes all the difference in the world. Do you have a writing practice that helps you get words on the page? Your post has charged me up, Charlotte. It makes me want to put words on the page. Maybe I’ll seriously look at my copy of Artist’s Way again. And your pillow looks great. You inspire everyone who comes through here. Aw, thanks J.D. And the pillow is holding up pretty well after all these years! It is a great mantra, that’s for sure! I have been researching some of the books you suggested to me, Charolette– but still, nothing’s as good as coming here and soaking up the goodness you share with us. Now that is a fantastic compliment to start my day! Thank you so much! The blog will mostly do with how running keeps my life together- but will advance into my creativity, love of reading,writing, love of the beach, my family, and my work. It’s going to be focused on always thinking and moving forward! 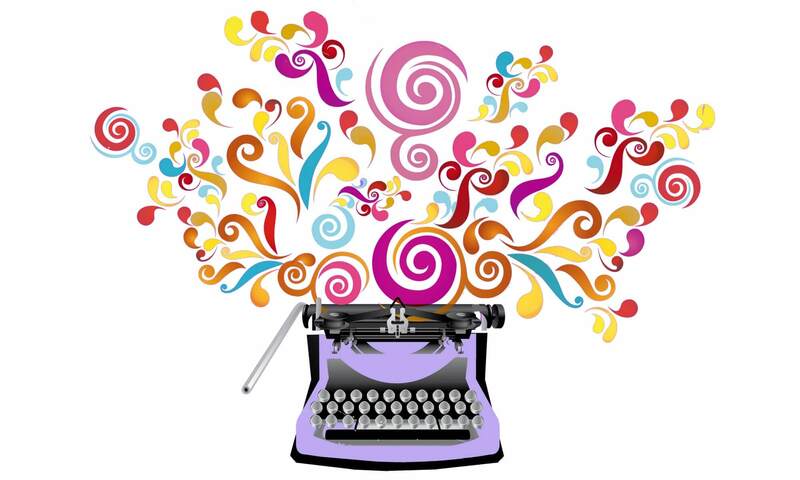 Previous PostPrevious Do You Pay Attention to the Physical Aspects of Writing?